This year is starting to warm up. 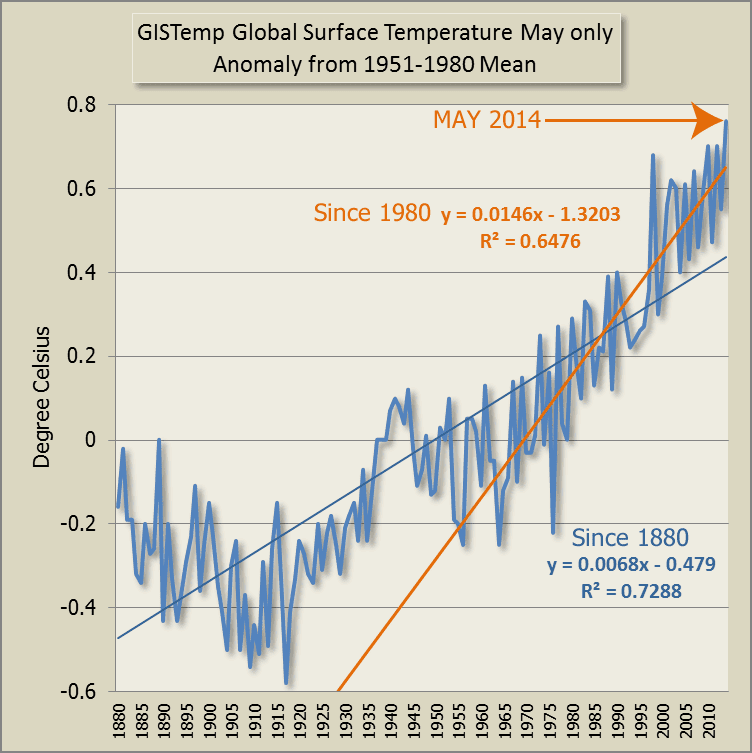 According to the latest GISTemp data, May is the hottest on record. I see that Bob Tisdale has written another ponderous piece about global temperatures (archived here) but for some reason omitted to mention the May record. DavidR noticed. I guess Bob didn't. In any case taking the average of January to May only, 2014 is the fifth hottest on record for that period. Based on GISTemp, February was relatively cold at 0.43 degrees Celsius above the 1951 to 1980 mean. Even 1991 had a hotter February. January was warmish, being the fifth hottest on record. March was the 3rd hottest March on record. April was the second hottest April on record and May the hottest May on record. 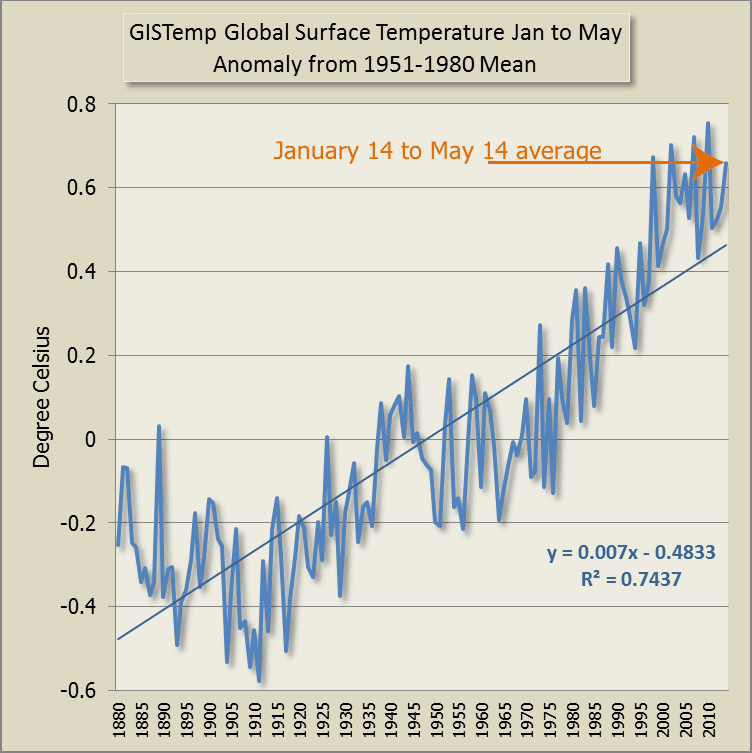 "Please note May 2014 GISTEMP LOTI numbers preliminary due to a glitch with Chinese CLIMAT data. Update to follow"
Thanks David. I'll keep an eye out for the confirmed number. What a bunch of Dunningly-Krugered numpties in Tisdale's fluff-club.